Speed along the La Jolla coast on an all-levels WaveRunner tour from San Diego. 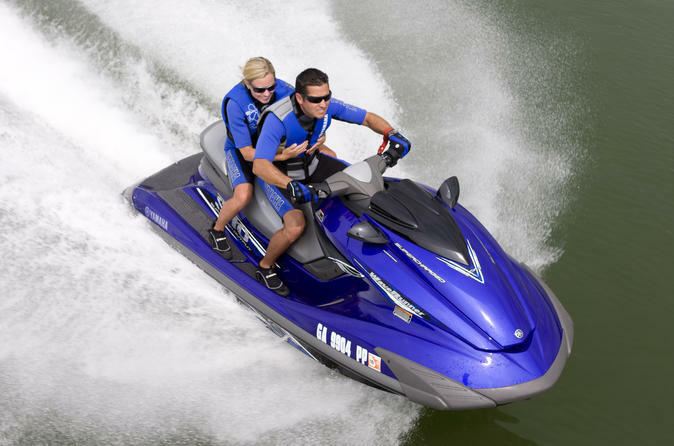 Drive your own WaveRunner or ride as a passenger and experience the thrill of racing up the coastline, just a few miles from shore. See the sights from the water and spot sea birds, harbor seals, sea lions, and maybe dolphins or whales. Your tour is limited to 10 WaveRunners for a personalized experience.